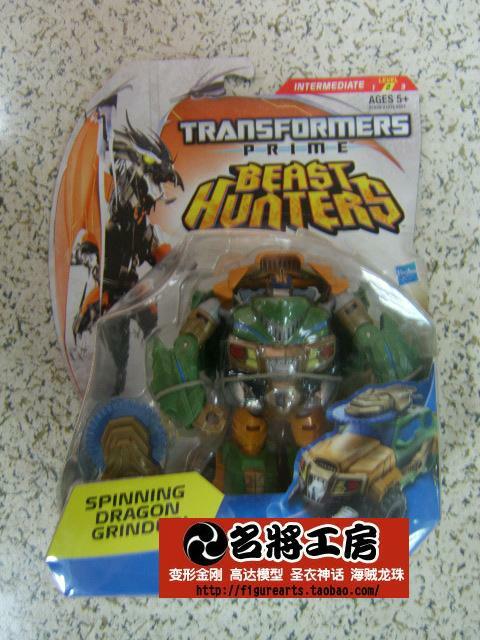 Thanks to a new auction on Taobao, we now have our first pictures of Beast Hunters Wave 2 Deluxe Bulkhead and Smokescreen! These two brand new molds will be joining Ripclaw in the 2nd assortment. Deluxe Bulkhead features a Roadbuster inspired color scheme as well as a disc launcher. 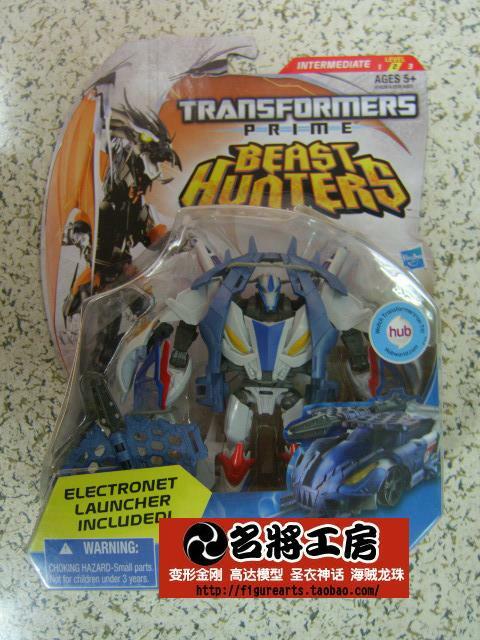 This will be our first US release of a deluxe Smokescreen figure and will come with a net launcher and the Beast Hunters trademarked spikes and armor. Click on the title bar to check out the pics! 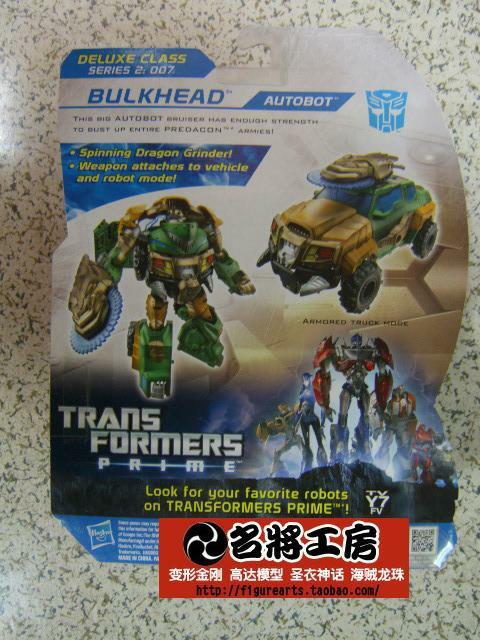 Bulkhead a Deluxe class,what in the world. 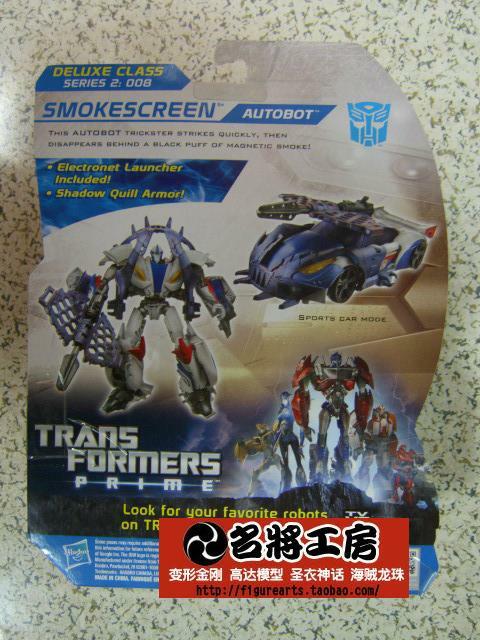 I'll probably end up getting that Smokescreen, even if only for the vehicle mode. Once you see the happy face, it cannot be unseen. Where is his face, there's no detail in the blue bit, is it meant to be a visor? I believe so, especially given if you look closely the "eyes" of the "happy face" are actually horns…Yup. You think that's bad, look at his chest. The fake window and grill parts make a scary face. Am I the only one thinking those are supposed to be goggle like headlights and a visor a homage to Cybertron Scattorshot. Okay Hasbro repaint him as Scattorshot and you got yourself a deal. Looks exactly like the spaceship from Heavy Metal! What have you done to me?!? Came in late and still had to get your $0.02 in, didn't you? You just sound sore because you did exactly what he said. Holy crap that is the scariest "Cannot unsee" case ever. Same could be said for you, no? I like how people don't read any of the posts before posting "WHATS WITH THIS SPIKY CRAP"
Welcome to every lengthy forum thread ever. 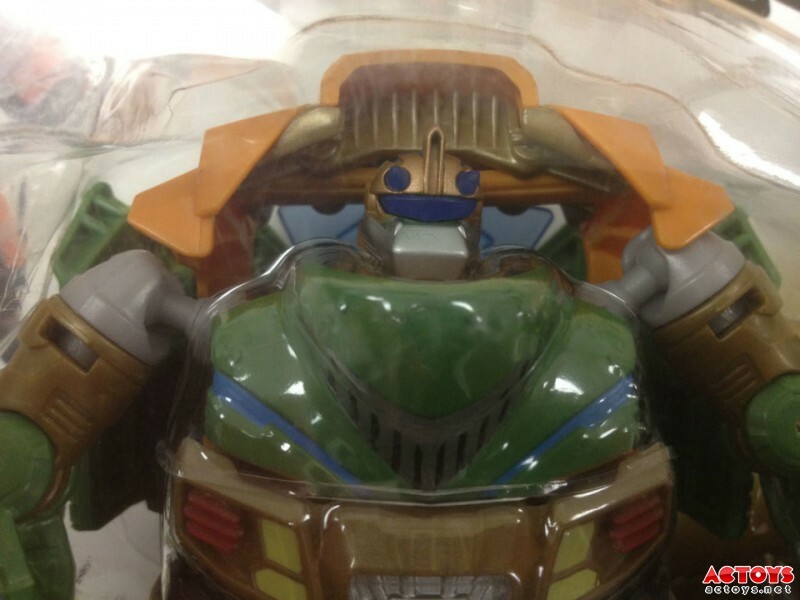 The Deluxe Bulkhead makes me think that we have a Deluxe Breakdown in our future. Something tells me hasbro is in a "moving forward" mode at this point. I think the only breakdowns we get are the Takara molds and the hasbro cyberverse.